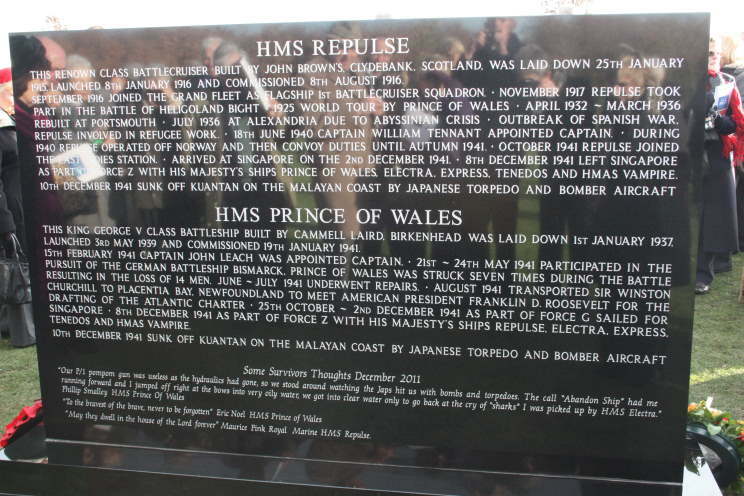 The HMS Repulse-HMS Prince of Wales Memorial at the National Memorial Arboretum. These photos were taken on the day of dedication, Dec. 10, 2011, the 70th anniversary of the loss of both ships. The reverse side of the memorial. 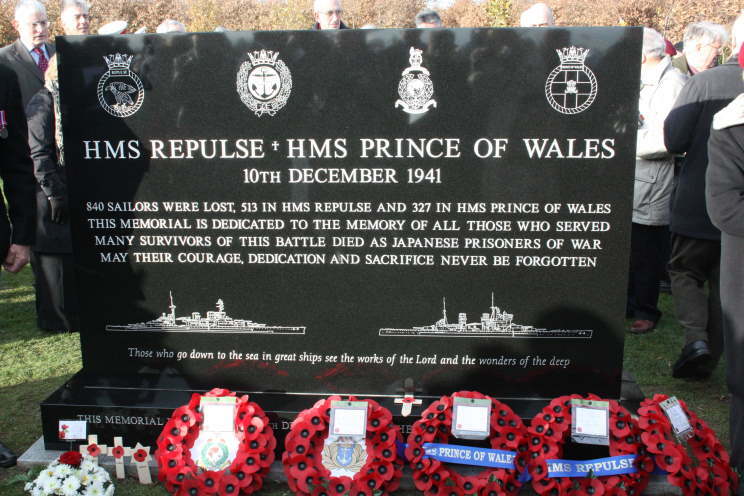 Download the HMS Repulse HMS Prince of Wales 70th Anniversary Memorial Service Programme below. HMS Repulse HMS Prince of Wales Survivors Association.